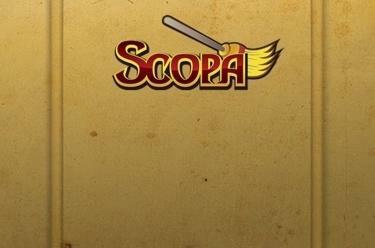 Play Scopa online for free now! Sweep the table with Escoba. Escoba and Scopa mean broom and that's what this game is all about: You have to remove all the cards from the table with fast mental arithmetic and clever combinations. You can either opt for the Italian variant Scopa or Escoba which is popular in Spain, Argentina and Chile. The aim of the game is to add the cards from the center of the playing field to your tricks. In Scopa you can clear all cards that correspond to the number of points in your hand, with Escoba you must have a total of 15 points. If you clear the table, you’ll get extra points. But be careful: Your fellow players will also try to get the cards and you need to prevent this from happening! The more cards you clear, the higher your chances for lots of points! If you have a good feel for which cards have already been played, you can really cash in!